WHAT IT IS: The high-performance version of the BMW 4-series and successor to the M3 coupe and cabriolet. Like the M3s before it, the M4 is designed for serious track- thrashing, yet it offers the comfort and amenities of a premium coupe. Stepping into the Sasquatch-sized shoes of the M3 coupe, the M4 needs to repair the M division's heavily dinged reputation. Based on the F30 platform, which underpins the 3- and forthcoming 4-series, it incorporates aluminum and carbon fiber to reduce weight. The chassis will be tuned for performance and the body will be reshaped to drive home the point. A twin-turbocharged, 3.0-liter inline-six with around 420 horsepower. BMW will offer both a six-speed manual and a seven-speed dual-clutch automatic. Audi RS5, Cadillac ATS-V, Mercedes-Benz C63 AMG. The same guys who tuned the M5 to be a soggy, sorry excuse for an M car may still be on the payroll. 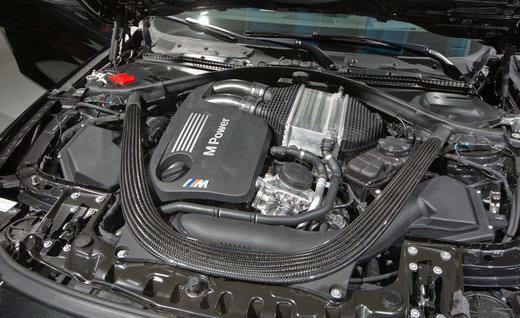 Going back to a straight-six is a great move, and the styling of the M4 seems sure to please BMW aficionados. The four-door will continue to be called the M3, so no charging the barricades, please. 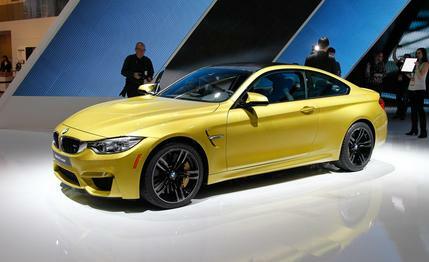 The M4 will arrive in 2014, with a price starting around $60,000.